We are proud to announce that HDX Hydration Mix has chosen Zeebric’s Qliktag mobile marketing platform to convey its brand story and message to consumers. With this campaign, consumers will be able to scan Qliktag-enabled QR codes on a variety of printed material such as posters, handouts and product packaging and thus engage directly with the brand. They will not only get more information about what HDX is, they will also be able to sign up to win a free prize. 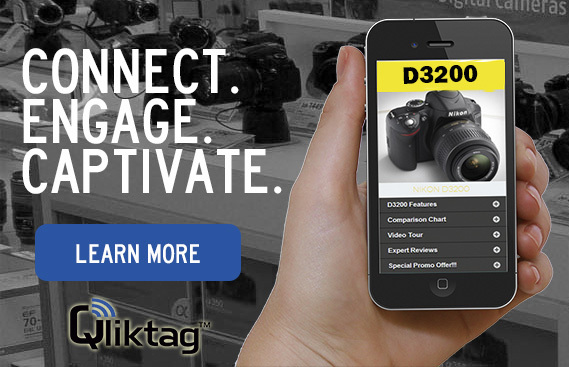 The Qliktag mobile marketing solution enables brands to convey product-specific messages and information – text, images and video – that is accessible through mobile devices, and is formatted to fit the mobile platform. This patent-pending mobile marketing platform has been built specifically to fill the communication gap that often exists between brands and their customers. With this solution, brands will be able to get their stories across to consumers – something that retailers may not always be able to do. The goal is not to eliminate the retailer, but to provide a seamless engagement platform for brands and their customers. This will result in increased sales for the brand, as well as the retailer, while customers will have more reasons to remain loyal and satisfied. To know more about how Qliktag works, please watch the following video. To sign up for a demo, please visit the Qliktag website.